Adore your skin at any age with Skin Formula from Adorage Let's face it-aging is inevitable. But by putting nature's most powerful nutrients to work topically and internally for your skin will prevent the signs of aging and will help you adore your skin at any age. 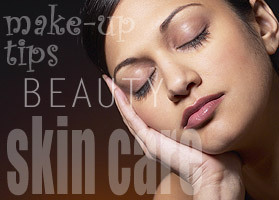 Our skin is the largest organ of the body, which is working hard for us 24/7. But we can't take it for granted, we have to take care of this organ as it is working like a barrier against environmental pollution, sun damage and as a shield against bacteria and viruses. By eliminating the cell damage, caused by free radicals, we could significantly affect the aging process of the skin. Supplements which were developed by Adorage consist of amino acids and natural herbs. They were developed with three goals in mind: 1. Use as many ingredients as known to promote healthy looking skin 2. Each ingredient must show real results 3. The dose should be limited to no more than two capsules per day to fit busy lifestyles. The Skin Formula has a slogan: For the skin you will adore. It is a real beauty from the inside out. Taking these supplements regularly, you make a commitment to a healthy and younger skin. Skin Formula gives you the adequate levels of antioxidant protection on any given day. It contains: Vitamin A-works wonders to the skin, hair and bones, supports immune function DMAE- is an antioxidant membrane stabilizer, when mixed with other amino acids and nutrients,it has a dramatic firming effect on skin MSM-" Nature's beauty mineral". It is vital for the formation of healthy cells. Acetyl L-carnitine and R-alpha lipoic acid combined together are slowing dramatically the cell aging process,decrease the free radical levels in the skin after only two weeks use. N-acetyl Cystein( NAC) provides great immune support and has a very good antioxidant potential. Lycopene, Green tea extract, Resveratrol are natural antioxidants, help produce thicker, denser and stronger skin. Hyaluronic acid-the substance, which production by the body, is reduced while aging. It is the main ingredient in Restylane and Juvederm injections.It is vital to cell repair and increases water retention by more than 100%, promotes elasticity and fights the formation of wrinkles. B5 or Pantothenic acid accelerates the healing process, improves skin's consistency, reduces acne and decreases pore size. Protecting your skin is making steps to protect the health of your whole body. Adorage strongly recommends to fully benefit from the Skin Formula, taking these supplements consistently and look and feel your best into your later years.